Really, that’s pretty much all I’m doing. I had posted about master stock at my old blog and had gotten some response to it so I figured I’d post the update to it here. I wish I could remember how many times I used it since the end of November, at least five possibly a couple more. I kept it frozen in between uses, always boiled it before using it again and ran it through a cheesecloth every few times. Even in this small a time span/limited uses the stock has really changed. It started off as pretty much plain water and you can just see how dark it is now. That is only like an inch or so deep down there. 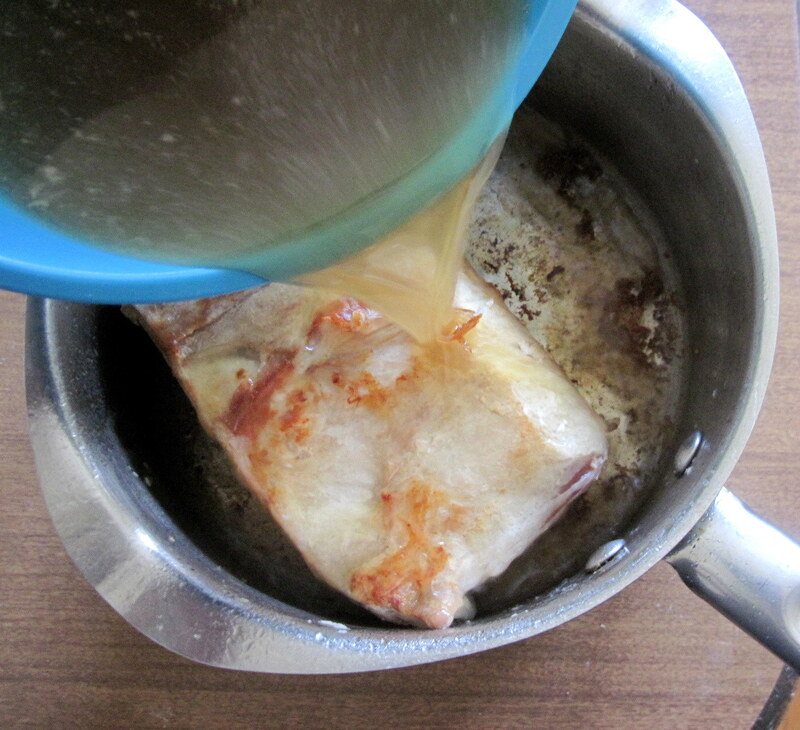 I’m only using this stock for chicken/pork, but I’m going to make another one for beef and lamb. 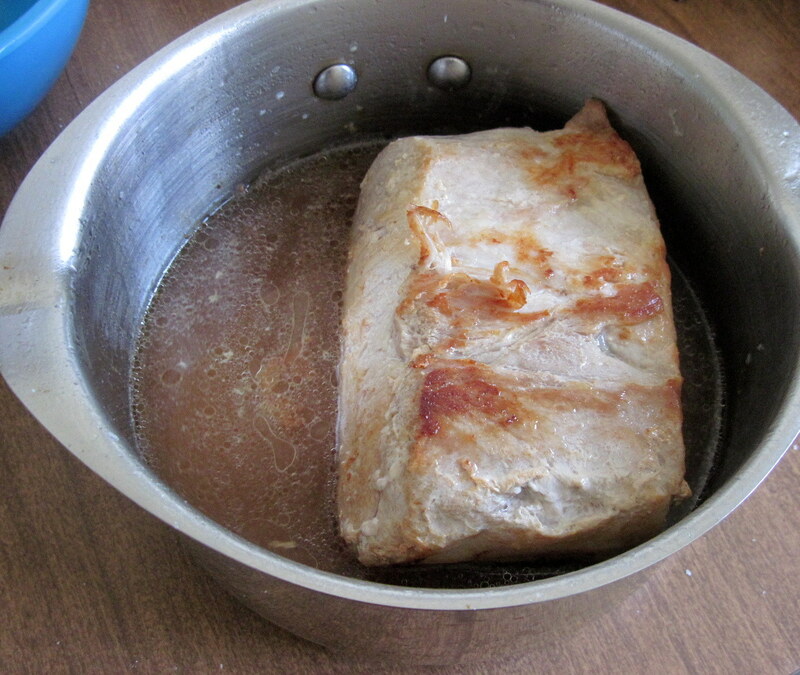 This is just a big chunk of pork loin, I bought a 1 1/2 lb one, cut it into portions and froze it. There’s a good single person cooking tip for you, freeze small portions of large inexpensive cuts. See, this post is about more than just filler and admin stuff. Heh. Anyway, yeah, gonna braise it, shred it and… something it. Not sure about what, it’s going to be braising for a while though so I have some time yet.